We love brunch; making it, eating it, sharing with friends. 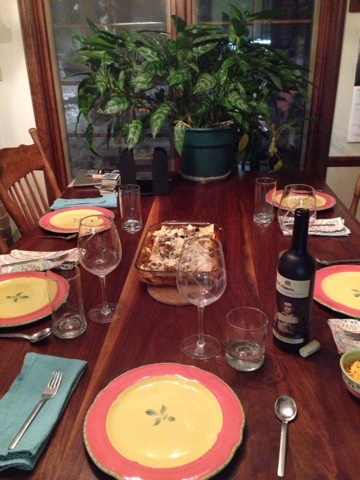 I made a lovely meal on Sunday for all five of us plus a friend. 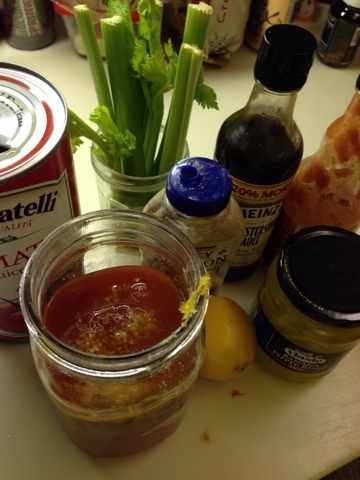 Again we started with Bloody Mary's (homemade is the way to go). The over 21 crew each had one while I was finished cooking. We chatted with Heather who came bearing gifts of champagne and orange juice. Second favorite brunch drink! What a great day. For eats I made homemade crepes and since elder daughter and I couldn't decide on either savory or sweet we went all out with both; just in less quantity. I used two great recipes for both; savory chicken (this filling was wonderful) from Food Network and sweet from Natasha's Kitchen. 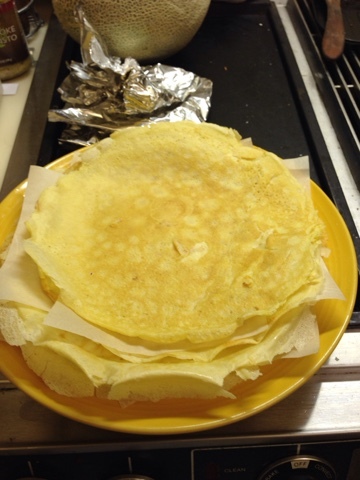 I made a double batch of crepes from Natasha's recipe, leaving out the sugar. They are so easy to make no one should have to purchase them unless you're cooking for a huge crew or are seriously pressed for time. Just swirl, flip, and save between sheets of parchment. I made them the night before and stored them in the refrigerator. I followed the sweet recipe for the greek yogurt/cream cheese but created my own fruit sauce using frozen wild blueberries, the favorite fruit of the kids here. My son pointed out as we were menu planning for this brunch that I haven't made crepes for a while. Now that I've done it again I promise to put it in my regular meal rotation. We played several rounds of Beyond Balderdash after the plates were cleared. A good game is as important as the food/drink served! It snowed here on Christmas Eve afternoon. I was out last minute shopping with my son and as we were leaving our small mall I saw huge flakes flurrying around outside the big glass doors of Von Maur. My face lit up-I know it did. It was amazing. It was magical. I was glad he was driving so I could watch the flakes flying. 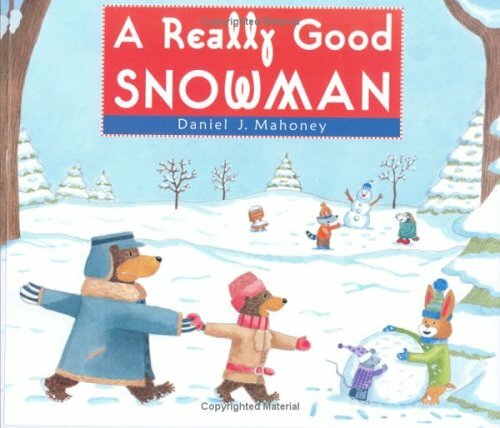 I guess reading my snow books to Kinders really worked! 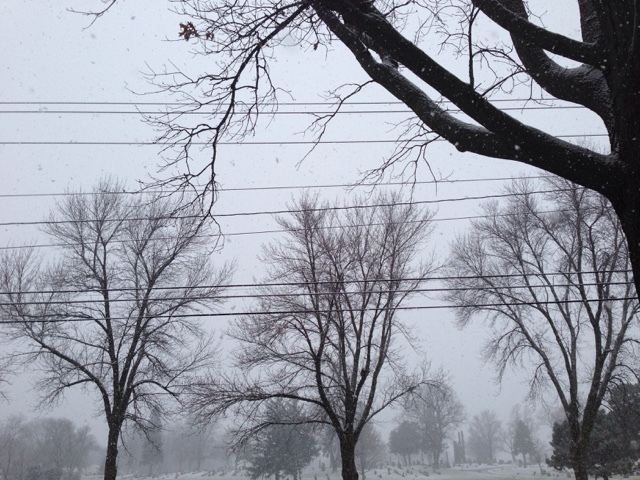 Our Christmas has been like that small snowstorm; fast yet filled with joy. Eldest daughter arrived safely into O'Hare airport where her dad gleefully picked her up and drove her here. We feasted on clam chowder, fresh bread, and salad with pomegranate seeds in between church services. It was a peaceful night, happy to be all together our meal was filled with lots of laughter and sounds of soup slurping. After eating we had time to play a favorite card game of spite and malice. Christmas Day we achieved our goal to stay in pajamas/comfy cozies all day long. Kids were happy with gifts given and received. We lounged, napped, and colored in new themed coloring books. We played Pictionary, another game of spite/malice, and foosball throughout the night. And we ate and ate. Breakfast started with delicious Bloody Mary's, grits, omelettes, and fresh fruit. In the afternoon we had a small cut of Brie with french bread and rice crackers just to tide us over until our late dinner which was lasagna, broccoli, fresh bread, and pecan pie. 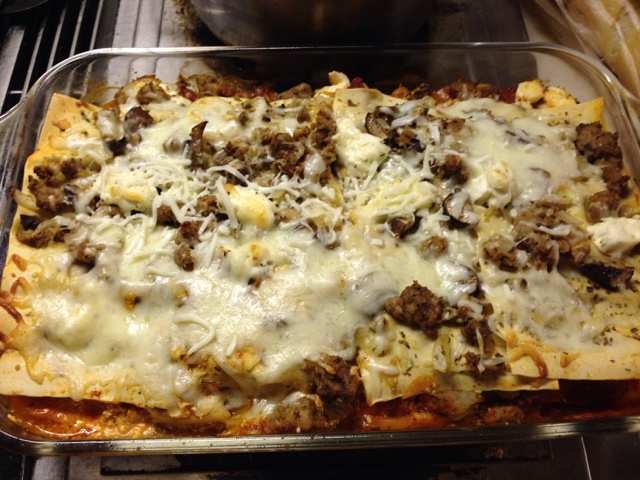 I completely made up the lasagna recipe and I am ecstatic on how it turned out. 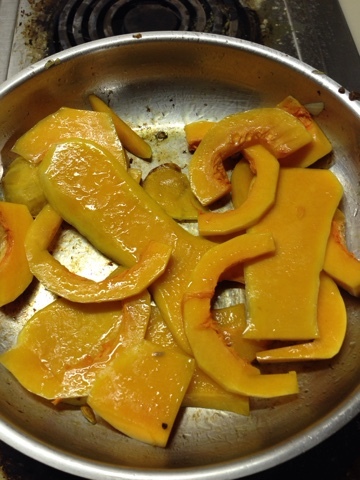 I have a few butternut squashes from a school friend and I sliced one up and sautéd it in a skillet with coconut oil and cumin seeds. Our family is varied on the meat they will eat/not eat but the one that almost everyone will eat is ground turkey. I, myself, am not a fan as I cannot find high-quality or organic here in town. I have a farmer I could ask but didn't get around to it this time. And turkey is a bit of sore subject right now with the whole avian flu outbreak. I digress though. I cooked the meat thoroughly, tossed it in a bowl to wait and then sautèd onions and mushrooms together with lots of oregano, thyme, cracked pepper, and sea salt. I added the mushroom mixture to the cooked turkey and I was ready to layer. I totally cheated on my sauce because who wants to spend the entire day in the kitchen so my friend Paul Newman helped me out with his more than adequate jar. I tossed a little of that down first in my glass 13x9-in pan, layered some flat noodles, four across, added a layer of turkey/mushroom mix, a layer of mozzarella cheese, four more flat noodles, the amazing slices of butternut squash, sauce, cream cheese (I completely forgot I needed ricotta cheese until 4 minutes before I started making this, lucky I had cream cheese for a kid-friendly substitute), four more flat noodles, last of the meat/mushroom mixture and mozzarella sauce sprinkled over the top. I poured a glass of water over the top which seems weird but helps the noodles cook. I baked it for 45 minutes with tinfoil over the top and took the foil off for the last 15. I let it rest on the counter top for about 20 minutes as I finished other items and got things to the table. It was bubbly and filled with flavor. Myself I would have just had two layers of squash. Groovy Girl hated the mushroom part and the squash part. Too bad. I hope everyone's holiday was filled with as much joy as we had and no arguments which are bound to happen even in the coolest of families. We have more exciting events planned for the next few days but eldest daughter returns to Chicago on the morrow and flies back to Brooklyn to continue her work with Gimlet Media. Happy Holidays! In the midst of holiday shopping I came upon this thoughtful image that snapped my attention away from shiny baubles and to what really matters. I've always leaned this way yet this year it made a bigger impact on me. 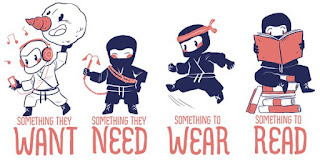 Do you shop with this in mind? We all have so much we should be grateful for; roof over our heads, plentiful food at our table, games in the cupboard, and books spilling off the bookcase. Keeping that fun mental image in my head I am almost finished with my holiday shopping. I have four books to pick out and then I will be done. If you are still looking for a few yourself I have a few pictures books I'd love to recommend. 1. 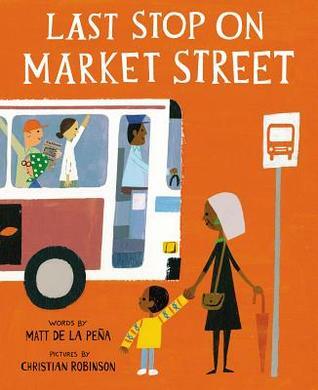 Last Stop on Market Street (2015) by Matt de la Pena: I love this beautifully illustrated (by Christian Robinson) and well-thought out book about the world around us. We go on a journey with C.J. and his nana as they leave church. He questions her with the whys and what ifs that occur naturally to small children. Why don't we have a car? Why is it raining? Peppering his grandmother with curiosities she answers back kindly each time, sharing empathy along the way until C.J. feels the warmth of Nana's words. I love the diverse and unique people Robinson depicts on each and every page. This book is 10 stars and deserves to be wrapped up for any holiday. 2. Is Mommy? 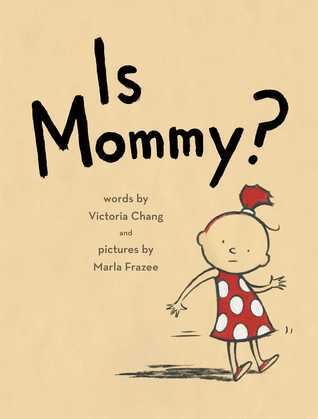 (2015) by Victoria Chang and Marla Frazee: Mothers get the short end of the stick often and their book illustrates this perfectly. In the course of a day we often appear mean, messy, boring, and little ones see us as short, ugly, and funny. No matter what, mothers are loved as the young ones in the book shout at us gleefully. 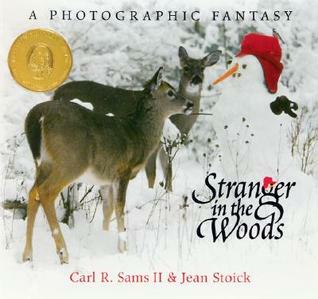 I love books like this because it can be a call and response reading with children. Might there be a new title in the wings "Daddy Is"? I would love that as well. 3. 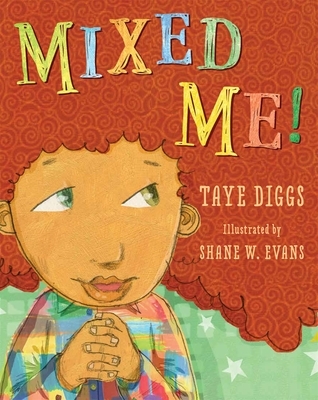 Mixed Me (2015) by Taye Diggs and Shane W. Evans: I was lucky to receive a free copy of this lovely book but if I hadn't I would happily buy it. The message is a cheerful look at acceptance by Mike who loves his blended color and who he is. We don't need to match to get along and I wish Mike could teach that to quite a few adults in today's world. Mike's crazy hair bounces through the pictures just as Joe Cepeda's illustrations for Nappy Hair. Love it. 4. 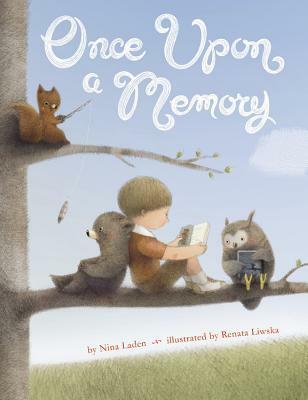 Once upon a memory (2013) by Nina Laden and Renata Liwska: This is simple a beautiful book for all ages. A little boy playing in his room spots a feather as it floats in through the window and it makes him wonder if the feather remembers the bird, does a book remember it was once a word...playing the sequence out several more times until we are reminded to remember that we were once children. Such a lovely way to be reminded. Every time I flip through this book I am filled with a sense of peace. 5. 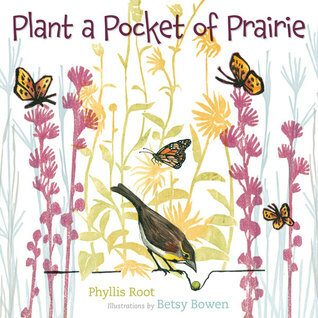 Plant a Pocket of Prairie (2014) by Phyllis Root and Betsy Bowen: For nonfiction lovers this one illustrates beautifully the reason for prairies and why it is important to refurbish prairies around us. Betsy Bowen's Antler, Bear, Canoe; a Northwoods alphabet is a family favorite and this book is just as unique. Both Root and Bowen hail from Minnesota which is a land I love. 6. 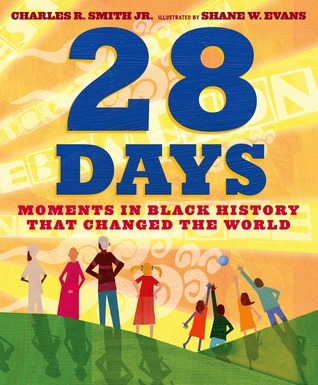 28 Days; Moments in black history that changed the world (2015) by Charles R. Smith and Shane W. Evans: I discovered this gem inside one of the Scholastic boxes for my recent book fair. Combing through the glossy pages I discovered a great deal of cool history; surpassing what we already know about Rosa Parks and Dr. King. I learned that Daniel Hale Williams successfully performed open heart surgery on a stab wound patient on July 9, 1893 in Chicago and that he opened his own hospital to welcome patients and doctors of all colors. Each page focuses on a person or event with a poem and facts. On the inside flap the books says it is perfect for Black History Month (February) and every month. I hope the book is picked up often. Buy this one and share it with someone you love. All titles are linked to The Red Balloon, one of my favorite bookstores in the Midwest. 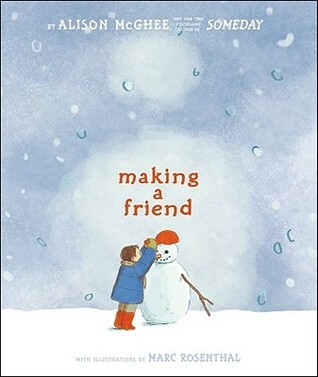 Have a holly jolly whatever you celebrate and buy a book for everyone on your list. I'm back. I finished Nation Novel Writing Month 2015-I wrote an entire story and it is longer than the 50,000 word requirement. I plan to edit it and work to get it published. I don't know how all that words so if you have any tips let me know. At the tale end of the month we celebrated Thanksgiving with the four of us. We missed Kaylee but she always spends this holiday with her mom in St. Louis. I wanted to enjoy the day, not be crazy about writing, and still have good food on the table. So this is what happened. I planned an easy menu. I decided I wanted U.S. grass-fed steaks (which we bought while in the Twin Cities), and to please all my people I made three different kinds of potatoes; sweet potatoes for me and I made those a day ahead, mashed potatoes with gravy for the men, and roasted red potatoes for Groovy Girl. What can I say, we like potatoes. We had fresh green beans, just sauteed a bit in coconut oil. I always make fresh cranberry sauce that doubles as jam for our bread (this time we bought it from Panera). The thing I was most concerned about was gravy. I needed gravy for those mashed potatoes and I did not want to get it out of a jar and I didn't have pan drippings to create my own. So I did a little research (which means I googled it) and found an excellent recipe that I will make again come Christmas dinner. The gravy recipe is from Chocolate Moosey. I used veggie stock and it was a light color (think biscuit gravy) but the taste was phenomenal. It made enough to fill a quart-jar with leftovers that we used (still using for leftover potatoes). That was the gravy recipe I was searching for the whole time we were vegetarians. Now I've got it. The cranberry recipe is from Epicurious. 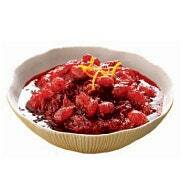 I love listening to the tart round berries popping as this simmers. Nothing says holiday meal like that sound in my kitchen. That and wine pouring. I still have leftover sauce and I used it just last night on a piece of homemade bread. Yum. Those are my only two Thanksgiving recipes to share except my husband made an excellent sweet potato cheesecake that deserves it's own post. Playing catch-up for not cooking much in November I made two fantastic meals over the weekend for my husband and son to enjoy together. Groovy Girl is out of the country and not spending every waking moment hunched over my typewriter has freed me up a bit of extra time. I literally whipped together a dish the other night using diced butternut squash, a pound of farmer-bought hamburger, a Trader Joe's curry simmer sauce, and Israeli couscous. It was delicious and I should have snapped a photo. That and a nice big green salad and dinner was on the table in about 40 minutes. Yesterday I had the pleasure of creating a recipe from start to finish which is truly one of life's joys. When you can cook unhurried and enjoy the process. I planned the menu, I made a batch of dough in the morning that would be ready to bake by dinner, and I set a time early enough that my son would be able to stop here and have dinner before heading to work. I made a really unique beef stroganoff that was amazing. The sauce, rich with mushroom flavor and pearl onions, would also pair perfectly with tofu-which would gladly soak up the sauce. The recipe is from Serious Eats and I liked reading all the research that went into making a better stroganoff. I don't know what possessed me to choose this but it was a fun recipe to try. I managed to stick with it and finish the story I started for National Novel Writing Month-November. From afar I've watched other writers tweet and post about this amazing challenge and I was curious. I don't know what spurred me on this particular month but I went for it. And I finished with more than 50,000 words. I think my story has something to say to teens and young adults, it's a little bit thrilling, and filled with a cast of cool characters. I am going to spend December combing back through it, revising it, and trying to add to it. I would love to find the right path to publication. 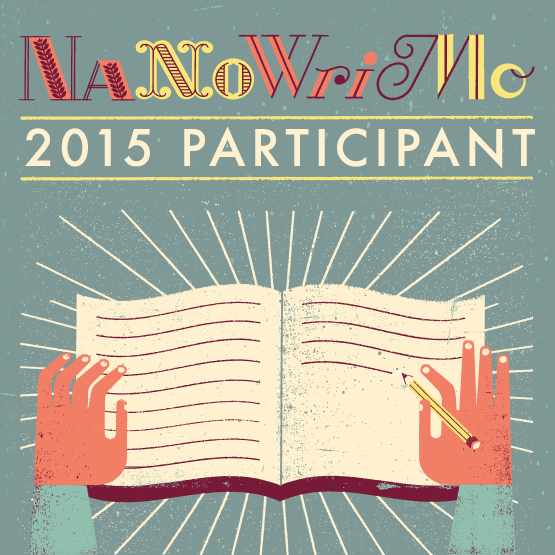 This month has been a month of firsts and I'm so glad I can add #nanowrimo15 to my list of accomplishments. Groovy Girl danced along side professionals from the MN Ballet; this was super thrilling to her, my husband and I took a mini-vacation together (these are pretty infrequent), and I got together with two college friends that I hadn't seen for many years and I missed them in my life so much-nice to write 50,000+ words in a month and have a wonderful gathering with old friends. The other major first is that we've been preparing Groovy Girl for a long-distance adventure. Passports, bags, summer clothes, bug spray, and books have all been purchased so she can head to Nicaragua on a mission trip through Rotary and our church. Groovy Girl and I have contributed to the shoe box project which helps kids transition to school, and now she will have the opportunity to help in person. She leaves early Wednesday morning and will be gone for a week. Bon voyage. We know she will come back a changed young woman. I feel terrible when I look at this blog that I love so much and see that a month is half over and I haven't posted books or recipes or even what my life is like. If I review blog posts many of them share a common theme of crazy busy happy life. 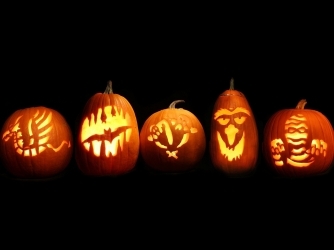 The month of November has been like that + more, like us amped up on lots Halloween candy. Groovy Girl is in rehearsal for The Nutcracker with the Minnesota Ballet through her local dance studio. 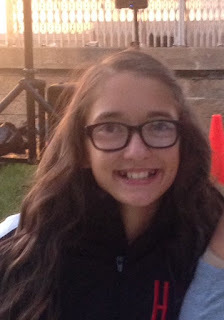 She is excited to use her dramatic and dancer skills in such a favorite production. We've gone several times to this show as she was growing up and I remember the first time like it was yesterday. She had on a magical deep blue dress and she couldn't sit still. Luckily we were sitting on the aisle in a front balcony and I could let her dance next to me as the dancers on stage made her want to dance with them. The performance is soon and I will be happy to watch her perform and then happy to cross it off my schedule. While she has been busy with that I decided at the end of October that this was the perfect time to try my hand at National Novel Writing 2015 so every spare moment between her rehearsals for Nutcracker and regular dance classes (5) and cheerleading activities I've been piecing together a story. I'm at about 21,000 words and I need to write double time to finish by November 30th. I don't know if what I am writing is good but it feels fantastic to write it out. Several pieces of the story are real events that I've always wanted to incorporate into something real. I also threw in two weekend trips because they were already scheduled and I wasn't going to give them up. My husband whisked me away to Iowa City for a night away-I was able to do some writing there. 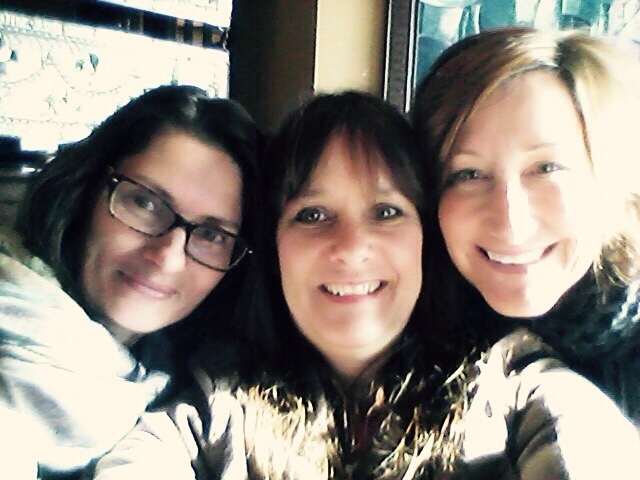 I also had a date with two college friends in St. Paul and that provided research as that is the setting for my story. It all works out. That's my mantra. Work is also crazy right now even though about a week ago I felt caught up-in that one moment because now I'm racing to get things finished up for conferences and our Scholastic book fair which occur very quickly after Thanksgiving. Oh and I am really looking forward to that lovely day of relaxation with my family. We are eating very unconventionally and then have a playdate with freinds for board games and cocktails at our house. Hopefully by then I will have really caught up in my daily word counts for nanowrimo2015 and I won't feel a bit of guilt as I hang out with friends. 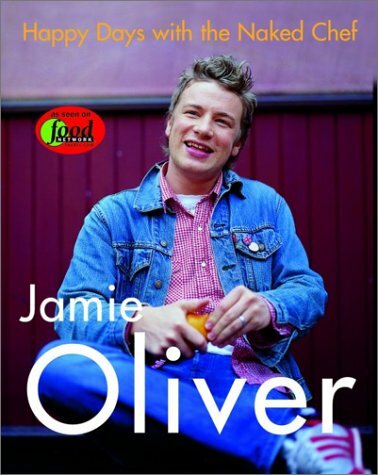 I have a foodie crush on Jamie Oliver and I found this book at a sale and had to have it. Friday I took this book to dance class and browsed while Groovy Girl did her thing. I found many recipes I wanted to try but this curry recipe was the one. Our family loves curry and it was a special night as the 20-year-old was joining us for dinner so I made a special stop at our international store for roti bread and spices. He has three seperate variations; fish, chicken, and veggie. I had a good piece of chicken so I used that, cutting the chicken in to bite-sized pieces and adding 1 T coriander seeds, crushed to the skillet. Heat the oil in a pan, and when hot add the mustard seeds. Wait for them to pop, then add the fenegreek seeds, fresh green chillies, curry leaves and ginger. Stir and fry for a few minutes. Using a food processor, chop the onions and add to the same pan. Continue to cook for 5 minutes until the onion is light brown and soft, then add the chilli powder and turmeric. Using the same food processor, pulse the tomatoes and add these to the pan. Cook for a couple of minutes, then add 1 or 2 wineglasses of water and the coconut milk to the pan. Simmer for about 5 minutes until it has the consistency of heavy cream, then season carefully with salt. Take this sauce as the base and add in whatever meat, veggies or tofu you would like. Be sure to stir fry your meat in a skillet and then add it into the sauce. I served it with jasmine rice and Indian bread. It was good, and well worth it but I was missing key ingredients; the fenegreek seeds and curry leaves. I wasn't happy that our small ethnic grocery store didn't have either of these and the sales person offered me a bag of bay leaves instead. (what?!) I don't have any trips planned to Minneapolis or Chicago so I did what I had to do but don't like to do; I ordered them from Amazon. I love my small town but it is hard when I'm looking for unusual ingredients. I want to make the dish again when these unusual spices arrive and see the difference. Also I will add all three chillies in! I worried it would be too spicy but it wasn't spicy enough. The flavor was good and the bread was a huge hit so it was a win. My husband and son had multiple large helpings and there was still leftovers for lunch the next day. Because I was making a special dinner I thought I would do a dessert as well and I was drawn to Jaime's fancy pudding recipe. In a bowl over some gently simmering water, slowly melt the chocolate and the butter together then remove from the heat. In a separate bowl, semi-whip the cream (until it forms soft peaks, not too stiff). In a 3rd bowl, whisk the eggs and honey until light and fluffy then fold in the Amaretto, melted chocolate mixture and cream-gently-so you don't lose too much air. Pour into some small wineglasses, martini glasses, or dessert dishes and leave to chill for about an hour before serving. I served it topped with a little extra cinnamon-infused whipped cream. Both kids really disliked the dessert because it was a strong chocolate favor but not sweet enough for them. Ha! That left more for me. I've had a tiny dish of it every night this week to finish off my dinner. I love the strong flavor. If I had the opportunity to sit and have a meal with a chef I would pick Jaime. His casual style appeals to me, we could have a cold beer and chat about spices, and he makes even a difficult dish sound doable. On Saturday I participated in a ThinkIn at an elementary school about 45 minutes away. Even though it was gorgeous weather on Saturday and I live to be outside when it is so lovely out, I went. I could have rolled over at 7:30 am and gone right back to sleep as the other peeps at my house did but I didn't. I had a strong conviction to go because Mr. Schu (John Schumacher) was the guest speaker and I love to follow his lovely blog posts and tweets. He's created quite a community of readers, authors, bloggers, librarians, and teachers. I gave up my Saturday morning for him and it was well worth it. He had a plethora of slides about connecting students with books to start the day off and we didn't even get to half of his slides. He says he has OCD when it comes to making slide shows. That OCD is exactly what makes him entertaining to see in person. He flits from story to story, sharing funny anecdotes about authors he's met, and his own quirkiness. He has a smell test for all new books. Yes, I said smell test as in "doesn't this book smell a-m-a-z-i-n-g!" I had many things I wanted to say to him but I'm nervous and weird and can never get the right sentence out at the right time so I nodded my head a lot in the two conversations we had. 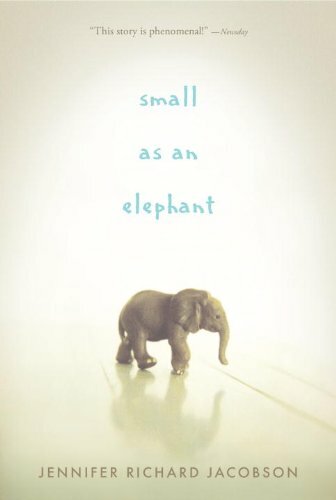 One of the things I wanted to say was that I loved Matthew Baker's book, If you find this, which when Mr Schu shared about this book everyone else looked at it like they'd never heard of it and he said he couldn't find a copy of it in the book stores he stopped in on his way through Iowa. Hmmm. I loved the book and we need to start a buzz about If you find this. His second presentation shared lots of new books with us and he gave away lots of books. He talked about authors he loves like Kate DiCamillo, Ame Dykeman, and Katherine Applegate and he likes funny books which made me wonder if he likes Emily Gravett books. 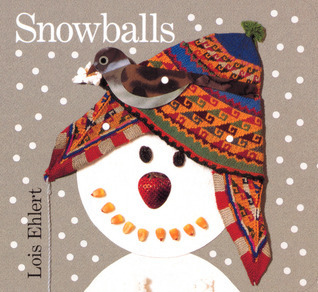 Her books are unusual and kids like her sense of humor. I was the lucky winner of TWO books from Mr. Schu (thank you, thank you! ); A passion for elephants; the real life adventure of field scientist Cynthia Moss by Toni Buzzeo and Holly Berry and Ivan; the remarkable true story of the shopping mall gorilla by Katherine Applegate and G. Brian Karas. 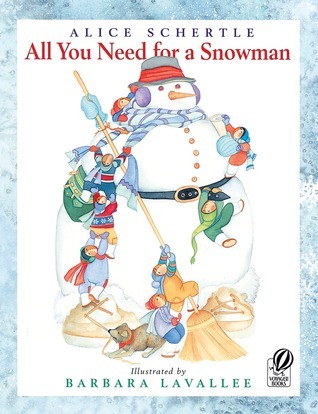 I loved The one and only Ivan also by Applegate and many teachers use it for a read aloud so this book will make a great addition to our library. And did I mention that it's signed by K. Applegate! I think it is interesting that I got two books with super long titles and both about animals. I had to sit on my hands for the rest of his giveaways and it was very difficult; he had so many great books to give away. My friend Nancy was the lucky winner of Brian Selznick's new book The Marvels. You can find Mr Schu's wonderful blog posts at Watch. Connect. Read. I love reading his posts, his book recommendations make my lists long on Titlewave, and he entertains using Vine and lots of book trailers. I've had this checked out from our public library for a few weeks...and have yet to take the necessary time to make any of the recipes. I love craft cocktails especially made from garden ingredients; think cucumber or rhubarb. 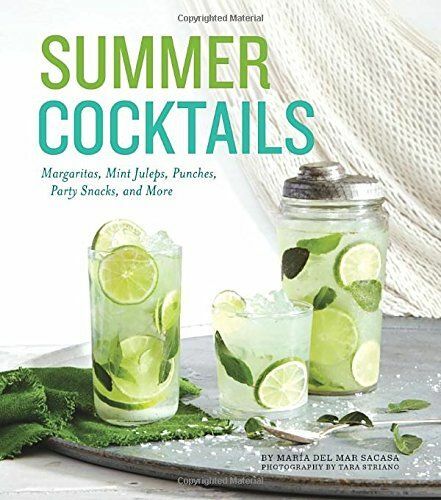 I wanted to make quite a few recipes from this book-that would have been a lot of cocktailing through September...I tried to pick a few of my top favorites-there were so many delicious choices though. Pour honey liqueur into a champagne glass or flute. Top with champagne. Serve. This is an easy one but I love bees and this would be a great celebration cocktail! There is a delicious recipe for Long Island Iced Tea that I would love to try because it would be far superior to the cocktail I drank in college on crazy nights. I'm interested in the homemade sour mix. Also she talks about a Dark and Stormy and her recipe includes actual ginger slices with ginger beer-that would take it up a notch so, of course, I'm going to give that a try. Place apples in a large bowl. Rub lemon zest into sugar until no strands remain and sprinkle onto apples. Add brandy and lemon juice. Let sit at room temperature for 1-2 hours. Stir together wine, tangerine juice, lemon soda, and sour mix in a punch or other serving bowl. Add several large pieces of ice, the apple brandy mixture, and grapes. Stir. Serve drink in ice-filled cups, adding a scoop of fruit to each. Garnish with sprigs of fresh thyme and/or rosemary and serve immediately. Toast curry leaves in a dry skillet over medium heat until fragrant and dry, shaking pan often, about 2-3 minutes. Transfer to a shaker. Add lime leaves, sugar, and salt and muddle. Add lime juice, rum, and ice and shake vigorously. Strain into an ice-filled glass and top with club soda. I'm not exactly sure where I'm going to find curry or kafir lime leaves but it will be totally worth it. Groovy Girl turned 13 over the weekend. We celebrated in style and had fun on Friday afternoon with a camping-themed sleepover. We put up our Coleman tent, ordered pizzas, set out pink lemonade, and most importantly cleaned up after the dogs all over the backyard. Fun stuff. Four girls arrived sleeping bags and pillows in hand. Groovy Girl and I had mapped out a tentative schedule and she requested that we basically stay away. Funny. So I ordered and retrieved the pizza from our favorite $5 pizza joint down the hill. I took three pizzas to the backyard for the girls and took one inside for the adults (me and two friends). And then really they didn't ever need me again. At one point they used some manly help from dad to set up a projector but beyond that we had our own little happy birthday celebration inside. After all the birthday parties we've hosted for that girl over the years it is funny to be asked to step aside. I get it though; she wants to be able to relax with her friends and talk about stuff. And the stuff they talk about is going to get deeper. I'm cool with it as long as she continues to talk to me about the big stuff. 1. I had a full day of classes, my busiest day with seven classes. 2. Lunch time was filled with helping 5 3rd grade students with assessments on the computers-they are less experienced with logging in so it took them longer. 3. After lunch had a fellow teacher-librarian come over to fulfill time, to achieve balance within our district. She works at a school with low enrollment. 4. Worked until 5 trying to finish a school project. 5. After school: ate a quick dinner, a leftover veggie burger from yesterday's BBQ with friends. 6. School board vote: went to city hall and voted for new and positive peeps. 7. Quick stop at public library: I had to renew a stack of books and had trouble getting it done on line. 8. 6:30 PTA meeting at school where I am part of several committees and we needed to vote in several new officers. 9. 7:00 religious education meeting at church-I was 25 minutes late but glad to be there. My friend Kathleen took over my husband's job and it was a great start for her position. 10. Grocery store stop: G.G. Birthday week and we needed COOL cupcake liners. 11. Home by 8:30 and We made 30 + chocolate cakes for cheer squad and birthday friends on Friday. 12. 11:00 and I'm still up waiting for last batch to come out of the oven. I'd be feeling pretty good right now (although sleepy) if they were coming out better. 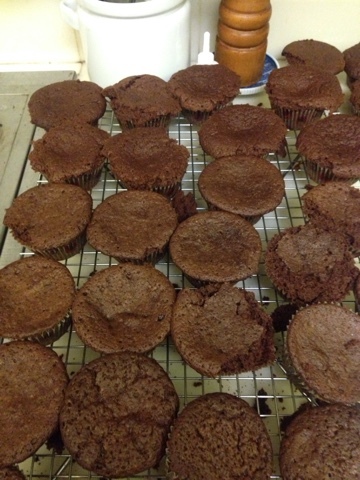 I overfilled cups and they are not pretty. Hopefully frosting will help them tomorrow. And how was your day...? I did stand at the kitchen counter and eat 1/2 a container of my favorite Ben & Jerry's frozen yogurt raspberry/chocolate chunk. My daughter has written three amazing poems, maybe more, but 3 that I know of and this one I'm going to share. She doesn’t even realize what amazing talent she has in this area. All three of my children are great writers and so far one of them wants to write for living. This was written for a class assignment. Enjoy. They carry me along my way through my life they will stay. "Come on in and have something to eat"
"We should go get something to eat." All statements that we hear in our lives daily. We are a food-centered society with first world problems. Which restaurant to eat in, what cut of meat to choose from the deli case, which foods do you pick as you walk down the buffet line? When you are attempting to cut down on the amount of food you eat you begin to notice how every event centers around food. This weekend we attended two music events and both had food offerings available. "Go eat..." After church someone serves cookies, bars and now fruit and cheese because last year we choose a healthier initiative. Food, food, food. It seems to be necessary at gatherings, get-togethers, and everything we celebrate; birthdays, anniversaries, holidays. Reunions. We are headed to a family reunion this weekend. I've been working on cutting my calories way back and getting in more activities. So this weekend I have to get in the car and ride for several hours to go to a gathering where people will have all kinds of unhealthy treats laid out on paint chipped picnic tables. Even virtual gatherings are often food-related as we scroll food blogs, websites, and pinterest for tasty offerings. I think it is going to be a new goal of mine to ignore the food at gatherings and just focus on the people. I might even try and get together with people without food involved. How would that even look? We could meet for a walk in the park, or a movie (no popcorn), coffee (no biscotti + I don't drink coffee). There's got to be a way to make this work. Anybody else struggle with this notion? I love food just as much as the next person but it's just not good for us to be constantly focused on food. Angelle, Verda, and I did discuss this at the great reading retreat. We didn't solve it there either. We were eating cheese, crackers, and hummus while we were pondering this life question. We were outside at least enjoying the beautiful nature around us.